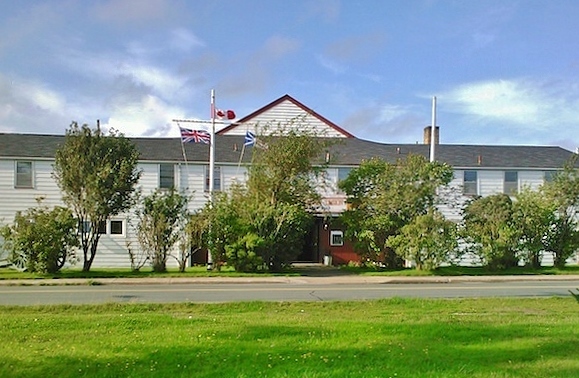 The physical home of Royal Canadian Legion Branch 56 has been a fixture on The Boulevard for decades. It has the utilitarian appearance of many of the original buildings at Pleasantville, once a military base called Fort Pepperrell. 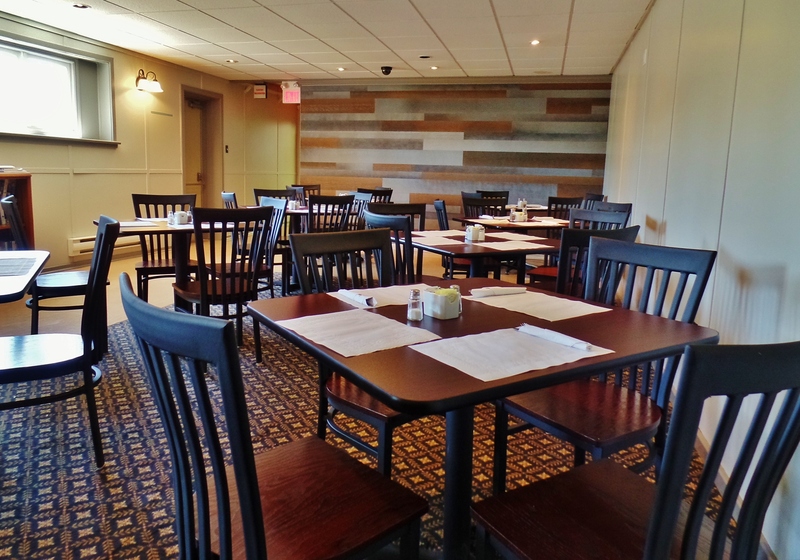 A portion of the Legion’s lounge was recently renovated to accommodate a small restaurant. Open daily to the general public, Legion Bar and Grill seats approximately 30 diners. 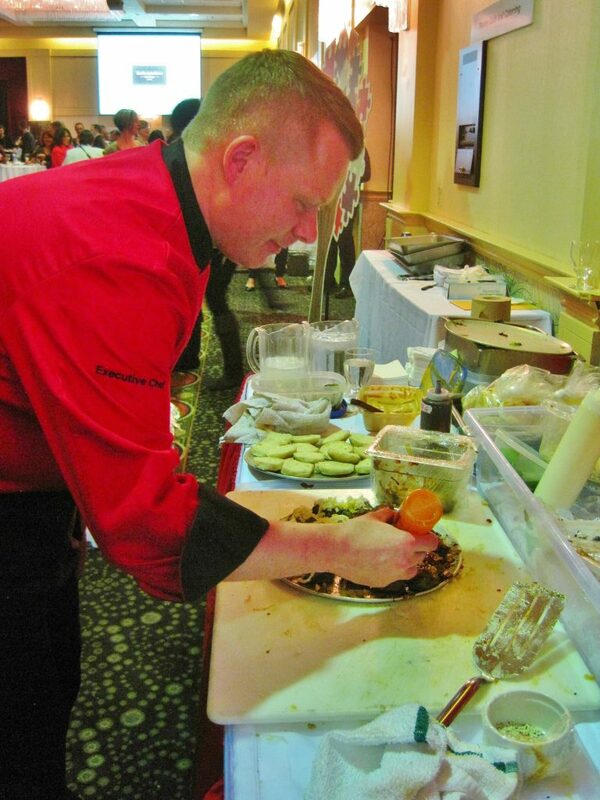 Chef Stacey Coish began his career at Nautical Nellie’s in the 1990’s. More recently he’s cooked at Uptown Gourmet Grill and the Network Café. While handling cooking for the Legion Bar and Grill, Coish is also responsible for the sizable catering operation at Branch 56, which produces numerous dinner dances, weddings, banquets et cetera. As you enter the dining area it’s worth taking a look at the changeable wall menu. Chances are good you’ll want to order something from it. In addition to a main course special the wall menu includes the daily soup and several dessert options. Even though Buffalo wings were invented in 1964 I don’t remember wings being a thing in St. John’s bars and restaurants until the 1990’s. Since then I’ve tried them everywhere. Stacey Coish’s wings rank well above most that I’ve tried. They come with a range of sauces on the side. I selected the honey garlic – dark and definitely garlicky. But it was the wings themselves that really won me over. With tinges of red the golden drumsticks and flats looked beyond tempting. Deliciously juicy, fresh, crisp and flavourful is the only way to describe them. 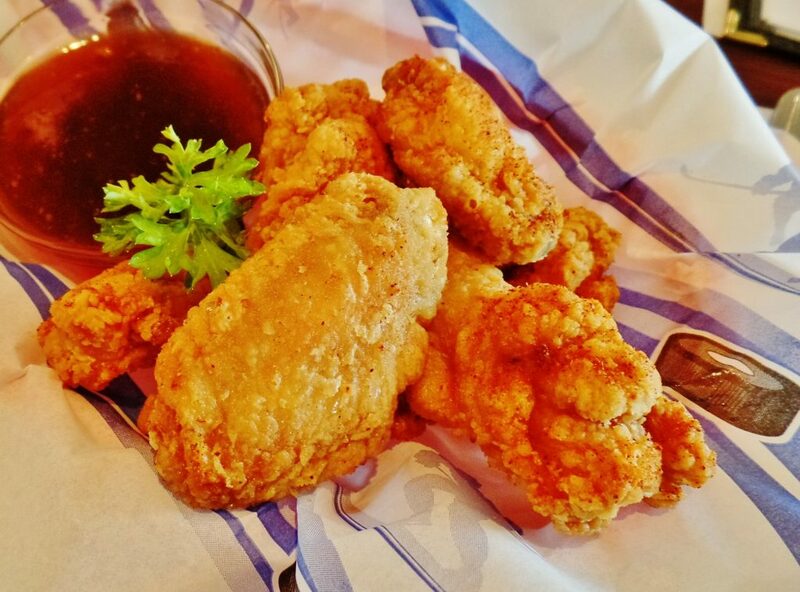 The sauce was fine but these wings had so much going for them they needed no extras. 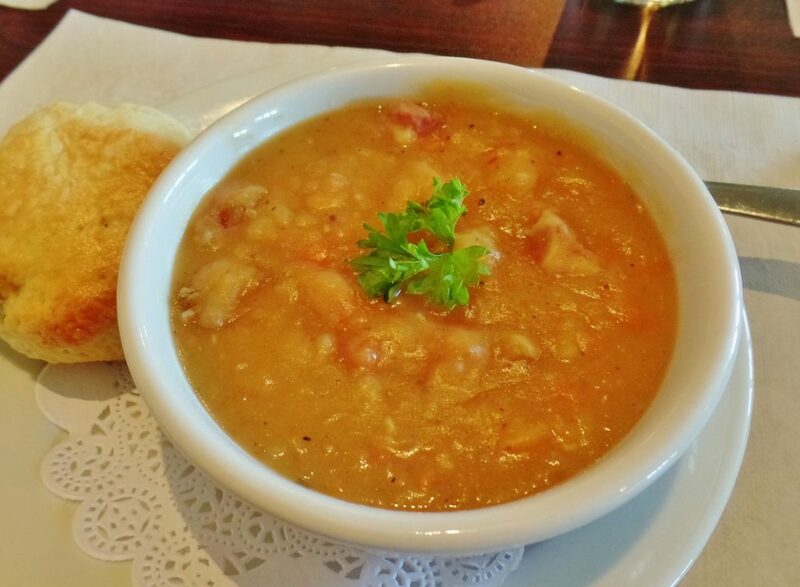 Pea soup is a Newfoundland staple that’s enjoyed in many different versions: thick, thin, with veg, without veg, salty, not salty. I appreciate them all and very much liked and appreciated the Legion’s pea soup. It was thick with vegetables and bits of lean salt meat, although not noticeably salty. Tucked just under the lip of my soup bowl, as if trying to be inconspicuous was a freshly baked tea bun. Some would say scone. Already beautifully fragrant, I broke it, as you would a stick of cinnamon, to receive a gush of bold aroma. Obviously quite fresh from the oven the tea bun possessed all the qualities a first rate piece of pastry should: buttery rich, tender, unrelentingly delicious. 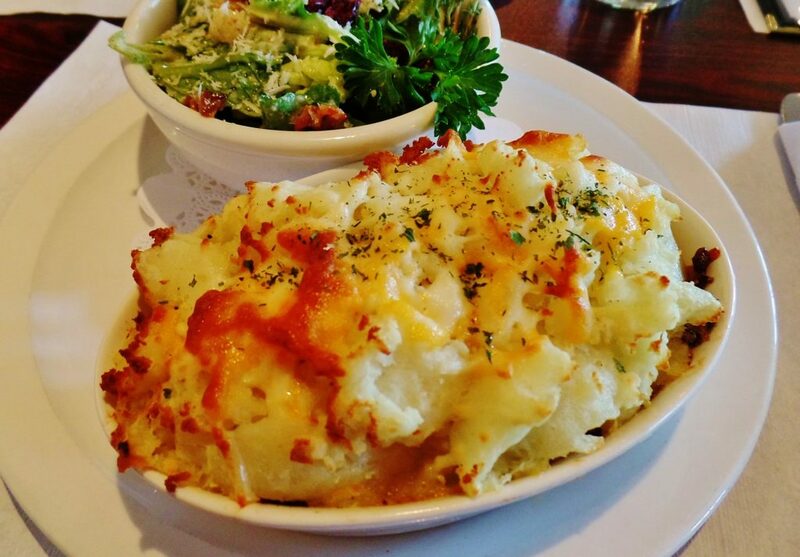 Legion Bar and Grill does a very satisfying shepherd’s pie with ground beef and cheesy potato. For an even better version I’ll offer this Henry Crabbe tip (fans of “Pie in the Sky” will know of whom I speak). Before placing the beef mixture in the casserole add a layer of potato to the bottom. The bottom layer will soak up the juices from the meat. Not as satisfying was the Caesar salad I ordered with my shepherd’s pie. For some reason Chef Coish felt it needed cheering up. (It didn’t.) So, he added dried cranberries, a sprig of thyme and parsley. This kind of eager attempt at creativity can only result in disappointment. I wanted a Caesar salad, period. What I received was anything but a Caesar salad. Turkey dinner with all the trimmings was the wall board main special. Toothsome slices of turkey covered rich bread stuffing seasoned with flakes of savoury. 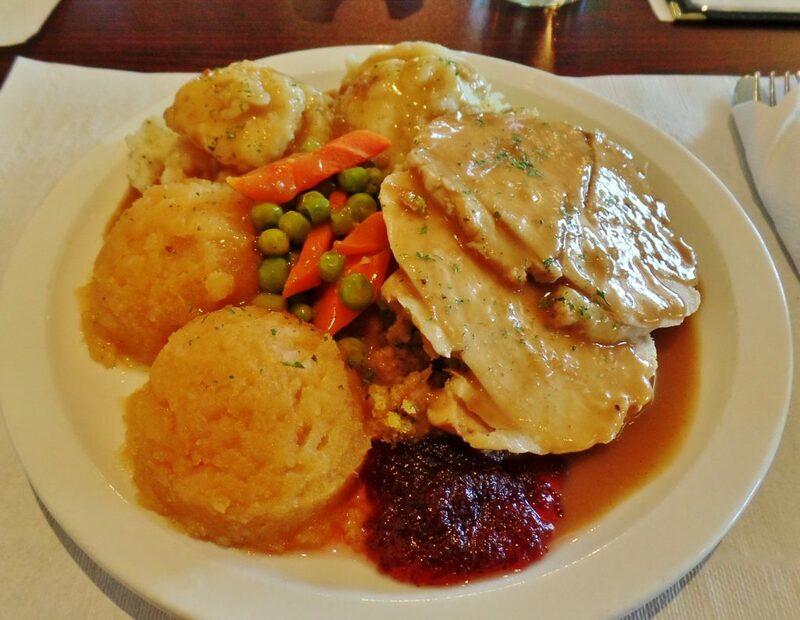 Hot portions of the usual root vegetables, green peas, cranberry sauce and gravy completed the plate. Everything required was included and it was good, very good. While most of the homemade desserts were familiar, the traditional option was the most appealing to us. 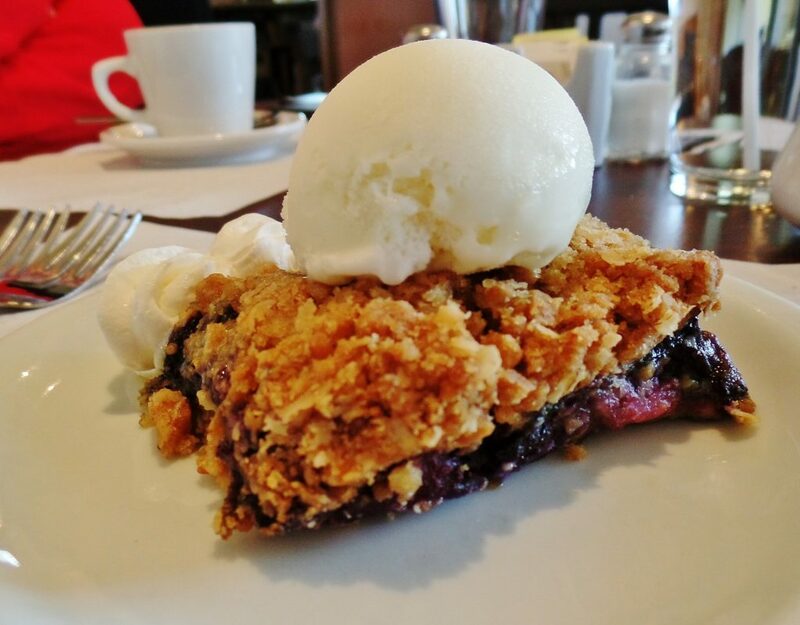 It was berry crumple with vanilla ice cream. I tasted wild berries (overwhelmingly) and maybe a hint of dates. Fruit, crumbs, fat and sugar struck an even, good tasting balance. Legion Bar and Grill offers a solid choice to St. John’s diners interested in excellent service and quality home style food. Reasonable prices and having a chef at the cooker with nearly 20 years of experience helps a lot. Price Lunch for two with tax and tip costs approximately $50. Ambiance Like a legion hall. Open Monday to Friday: 12 p.m. to 12 a.m. Food service is unavailable on Saturday and Sunday. Beverages A small selection of wines and broad selection of beers and spirits is available. Wheelchair access Assistance may be needed to access the building. Restrooms are not accessible.